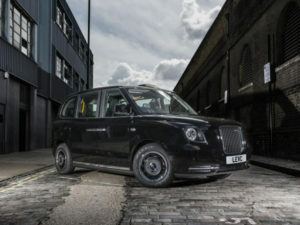 Announced last spring, a total of £50m will be available under the Plug-in Taxi Grant, giving drivers up to £7,500 off the price of a new taxi. The scheme follows the latest Plug-in Car Grants for bringing different levels of grant funding based on the vehicle’s range, emissions and design. Category 1 vehicles will need to have a zero-emission range of 70 miles or more and emissions of less than 50g/km. These vehicles will be allocated with a grant of up to £7,500. A second category will cover vehicles with a zero emission range of 10-69 miles and emissions of less than 50g/km, giving up to £3k off the purchase price. The grants are only applicable to new vehicles and would be applied at the point of sale from the dealership or manufacturer with no paperwork to complete. Manufacturers looking to apply for a vehicle to become eligible for the PiTG can click here for more information.